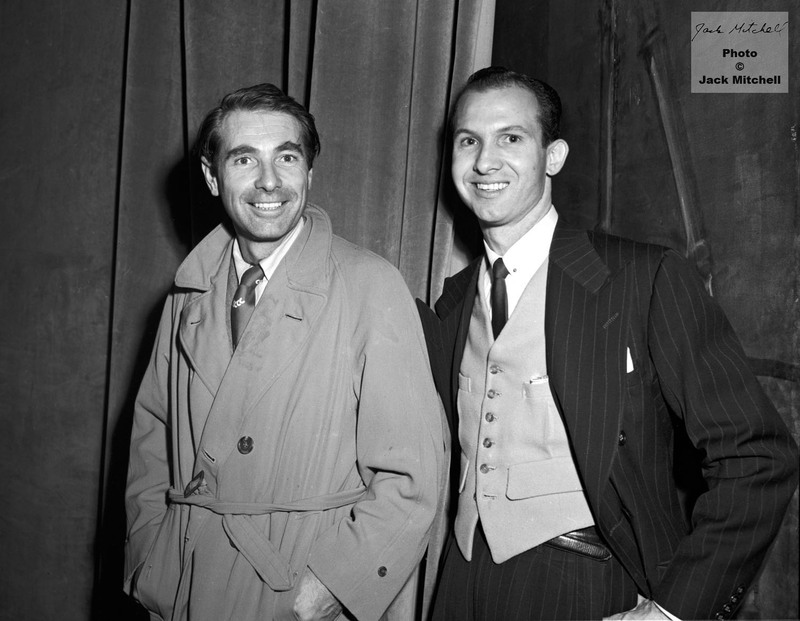 Jack Mitchell photographs and poses with actor Gary Merrill backstage in 1950. Jack had just moved to New York City. He was 25 years old and at the very beginning of his amazing career. 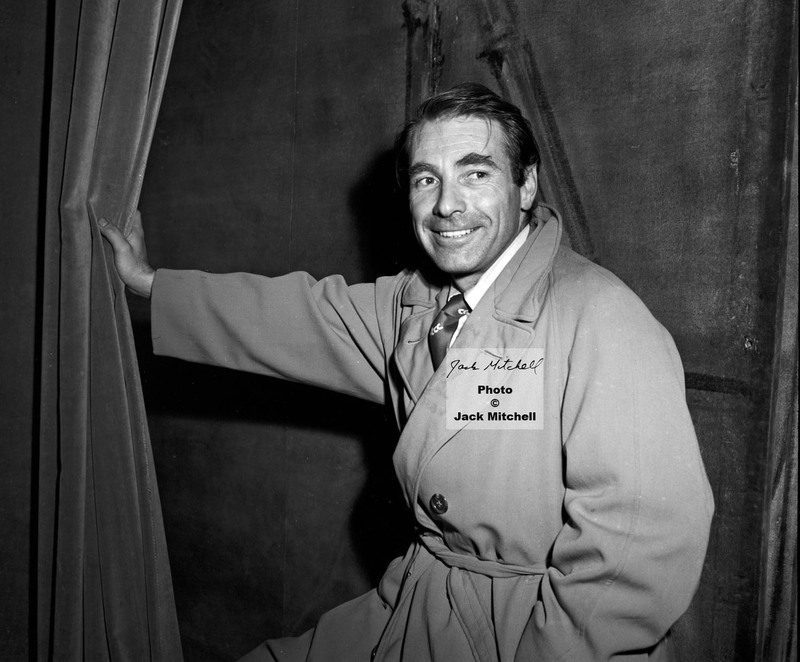 It was also the year Gary Merrill married Bette Davis and was her co-star in the classic backstage masterpiece “All About Eve”. 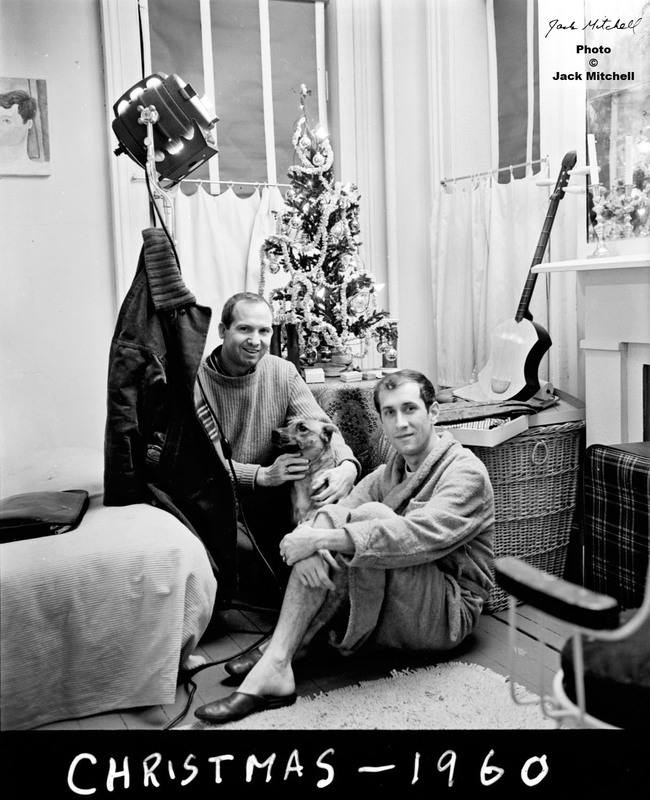 Fast forward to Christmas 1960 in Jack Mitchell and Bob Pavlik’s Manhattan apartment. 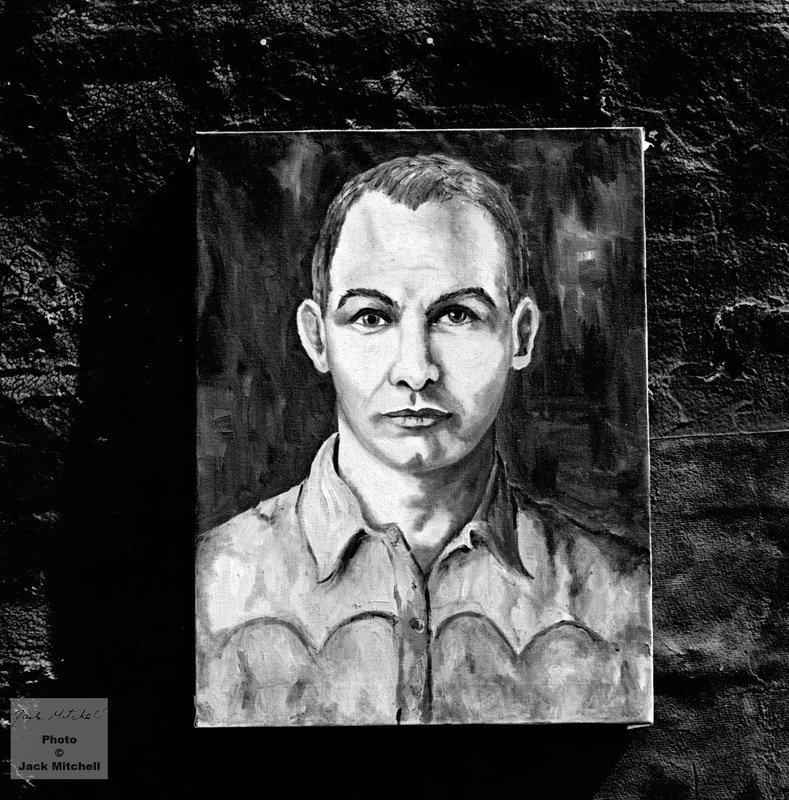 Bob Pavlik’s portrait of Jack Mitchell was completed over the holidays. (unidentified, does anyone know who these young men are?). The trio performed their nightclub act at the Persian Room in the Plaza Hotel in Manhattan. 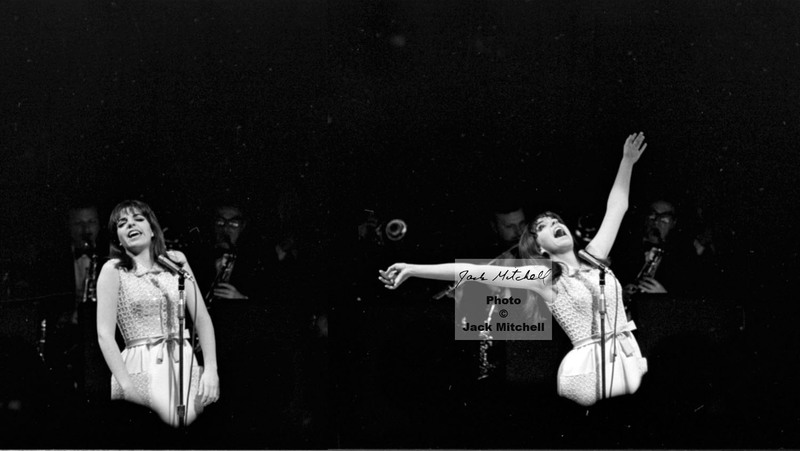 Jack Mitchell photographed the fabulous Donna McKechnie in 1970 when she was starring in Stephen Sondheim’s “Company” on Broadway. in “A Chorus Line” which earned her a Tony Award for Best Actress in a Musical. 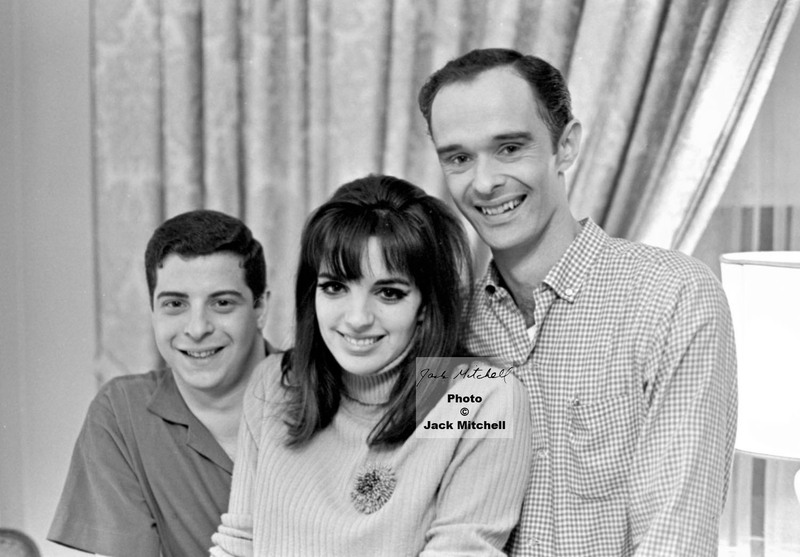 Jack photographed Valerie Harper with Nik, his studio cat (named after Nikon, Jack’s favorite camera brand). Harper had just finished her first season starring as Rhoda Morgenstern on “The Mary Tyler Moore Show”. And finally to round out this eclectic mix, a bikini-clad Julie Newmar tosses her gorgeous mane catching the backlight in Jack Mitchell’s studio in July 1974.